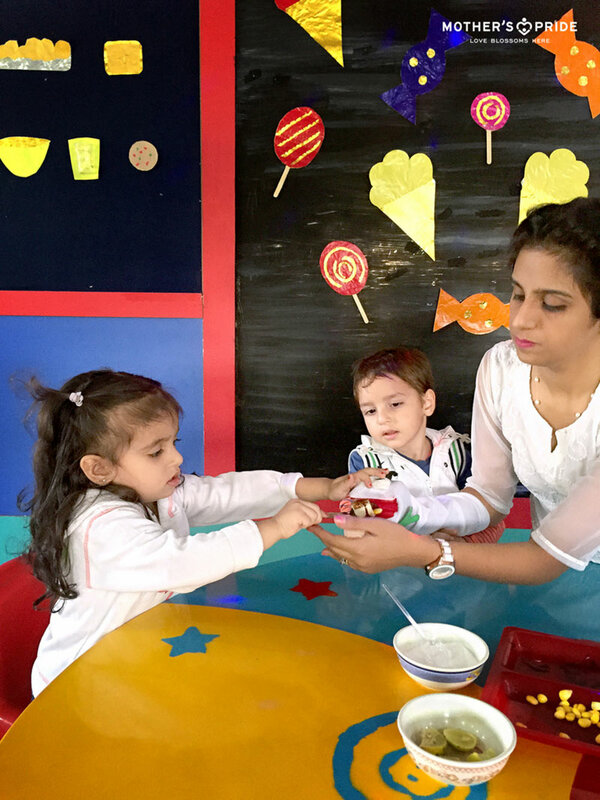 An activity termed ‘variety of food tasting and making food for the puppet’ was organized in Mother’s Pride School for Play-Group children, where teachers categorized sweet and salty food items through a puppet. 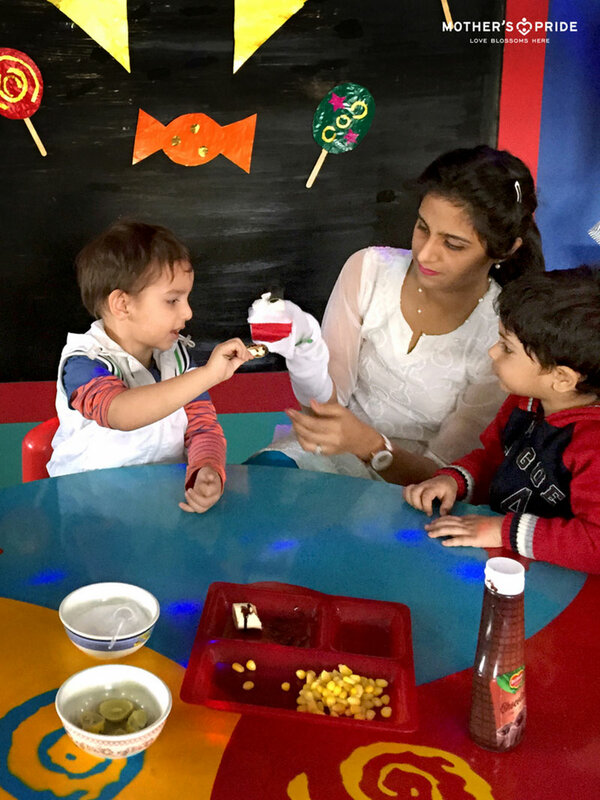 The feeding activity with the puppet is an experience whereby the children taste variety of food items and speak about how these taste. 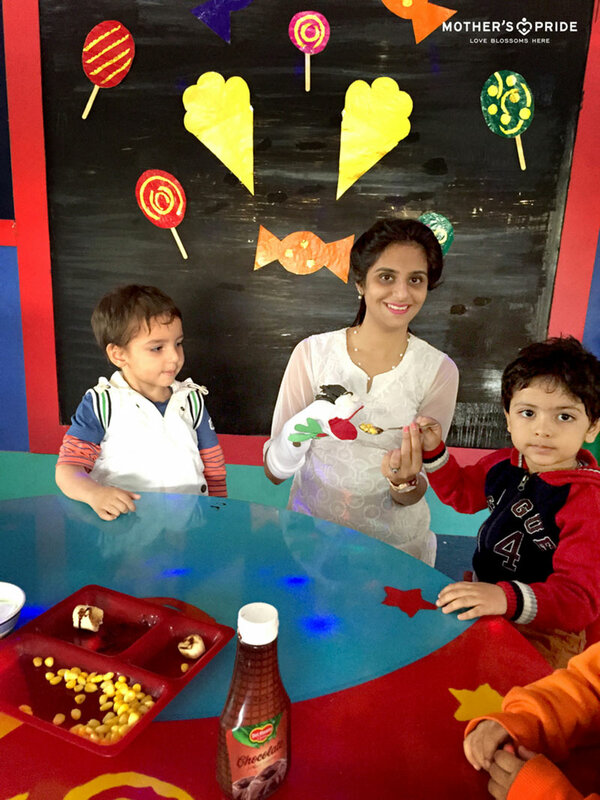 This is a way in which the children are able to differentiate between various tastes, be it sweet, salty and so on. 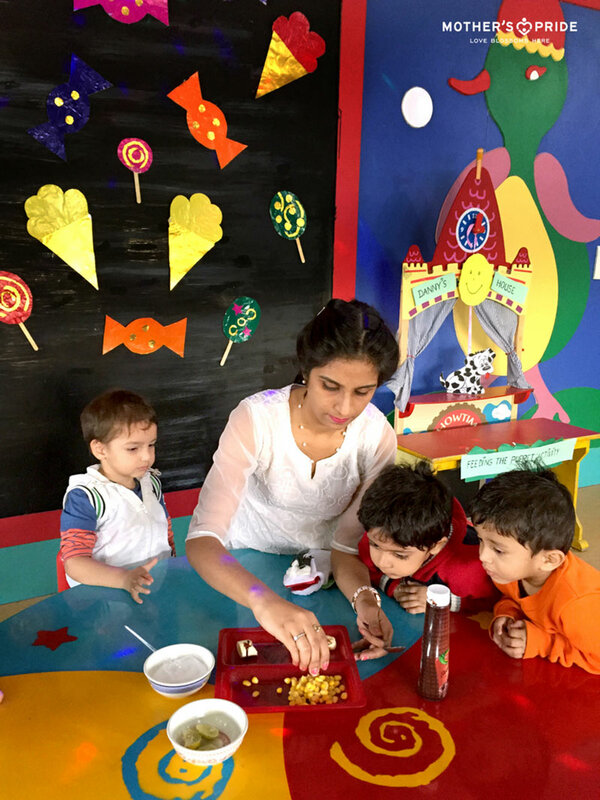 This process helped children in exploring and tasting different food items. It helped children in developing a thinking process. 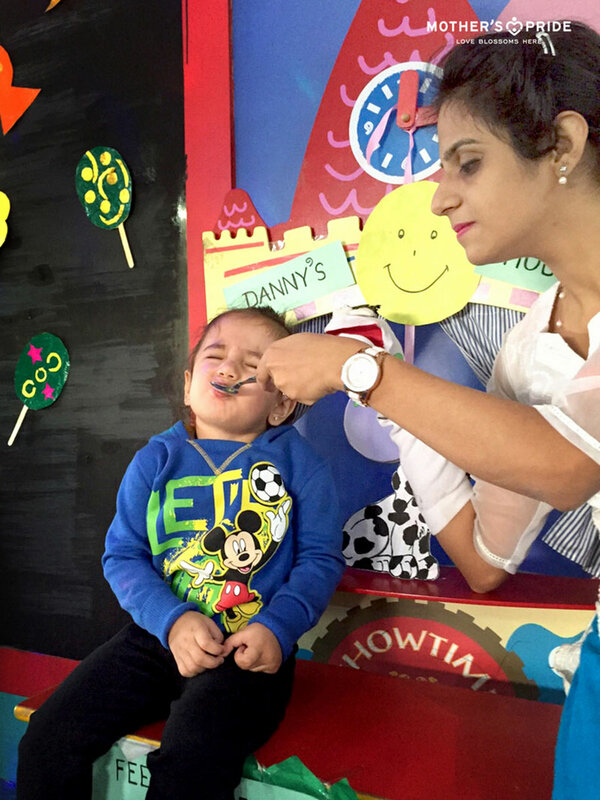 In the course of the activity performed, the teacher asked each child to close his/her eyes and made the child to taste a particular food item. The child responded by telling the teacher of the respective taste. 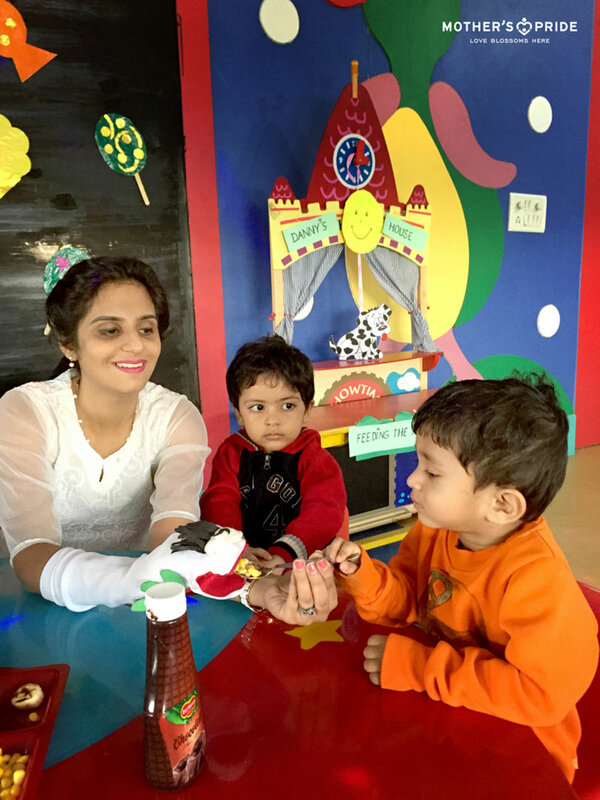 Thereafter, the child was to feed the puppet with corn salad and bananas dipped in chocolate sauce which they made along with the teachers. 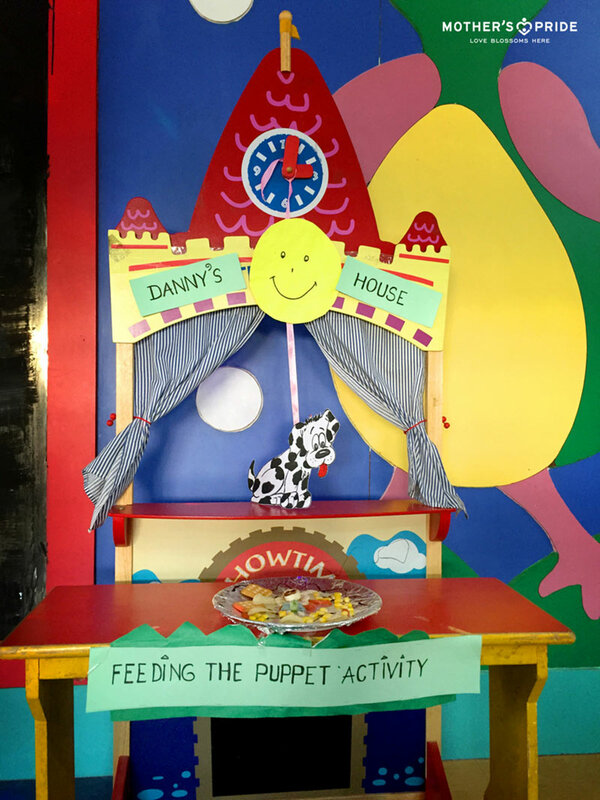 Feeding the puppet activity also encouraged children to develop a habit of sharing and developing a strong bond with the peer group. The children were surely delighted throughout the exercise. 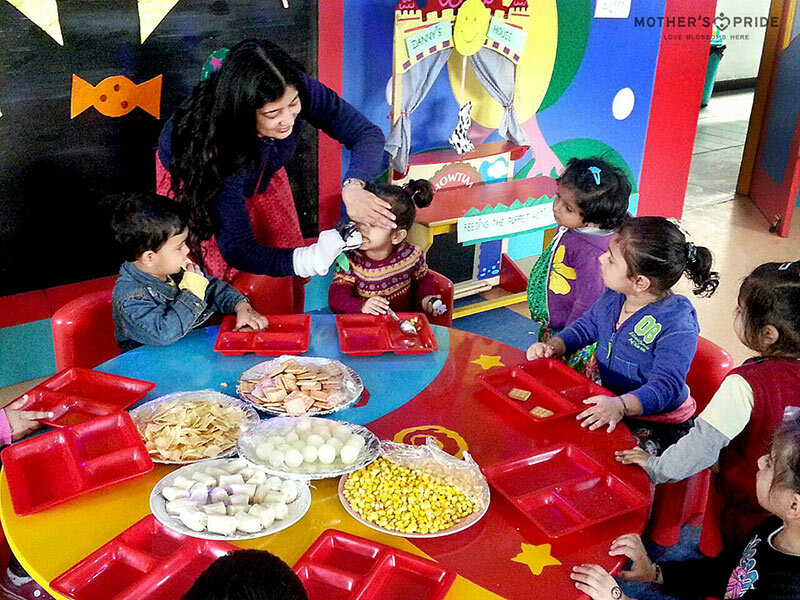 It helped children explore their taste buds and encouraged them to getting into a conversation. It has been a complete pleasure for children.